We are so into this whole Alt-Coins (Alternative to Coins/Crypto-Currency) thing right now it’s ridiculous!! Can’t get enough of it! We’ve been reading articles, watching videos and clicking through all the various BTC “faucets” out there. We’re formally registered with a couple exchanges and are throwing a few bucks into the mix by investing in a few different Alt-Coins with the hopes that they’ll act like the Bitcoin. I don’t think there is any way there will be as large a boom as there was with the BitCoin(BTC) but a little goes along way right? Below are a few sites we take time to go through, all faucets are half hour unless otherwise stated. This is THE order! 2. http://www.canhasbitcoin.com/ – Great 90’s old school Geocities style faucet! 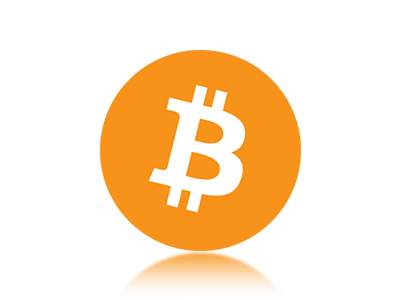 5. http://dailyfreebitcoin.com/ – This one is hourly and uses “Satoshis” as the BTC amount. What is a Satoshi? It’s 0.0000001 BTC. Payout happens when you reach 10,000 Satoshis. 6. http://www.faucetbtc.com/ – Uses CoinBox.me for payouts. 7. http://www.thefreebitcoins.com/ – Also uses CoinBox.me for payouts. 8. http://www.freebtc4all.com/ – One more CoinBox.me payout faucet. BitCoins are the answer to government regulation? I’m learning that the BitCoin could be a one world currency, but also something that a secret one world government could hate as it’s pretty much untraceable. Or is it? Here’s a great article by the New Yorker that has some REALLY GOOD points about the virtual currency. One thing is that the BitCoin is NOT the only crypto-currency. There are many others like the LiteCoin(LTC) and the Peer-to-peer Coin (PPC or PC)! Well, there’s a lot of hustle & bustle about BitCoins (BTC) now, well I guess it never quieted down really. So I had heard about them when they were 5 or 6 months old. I thought I’d give it a go and ran it on my PC that had a pretty good graphics card. Man alive was I shocked to hear the poor thing going full tilt for hours! The fans were spinning high and loud. In any case I sort of gave up. The more I looked into it, the more it seemed like I wouldn’t have a chance to actually get anything as my home PC just wasn’t powerful enough. Especially when I’d see videos of people with basements loaded with simple, no case systems (just a motherboard, HD & graphics cards). The way I understood it was that the machine that did the “last calculation” was the one who got the “chunk” of BitCoin. My little home PC could chug all day long and never end up with the “last calculation” right? So here we are, five years after the launch of the BitCoin and I guess I’ll give it another go. I had been following a GPU called the Avalon and thought if I could get my hands on one of those and left is in a cool dark, basement corner it would quietly bring in a second stream of income. The Avalon is in high demand so I’ll still wait for that dream to materialize. So, earlier in the week I downloaded a GUI Miner for BitCoins and started it up. I then realized I didn’t have a BitCoin Wallet setup on my PC so I couldn’t store anything that I earned! Time to download another piece of software. After I downloaded my BTC Wallet of choice (Bitcoin-QT) I fired it up. Lo-and-behold I had used this program before. When Bitcoin-QT first launched after my reinstall, it was 239 weeks out of date (approx 4.59 years behind) so it’s doing its thing and hopefully I’ve got a whole BitCoin all to myself!! !